I'm watching on SKY (and following a crap blog) at home and baking a cake for Richie. Gotta go, getting tight to have this done by kick off. See ya Veikko, you will be missed. Hi Me, thanks for joining us tonight. It's 25 minutes till kick off. 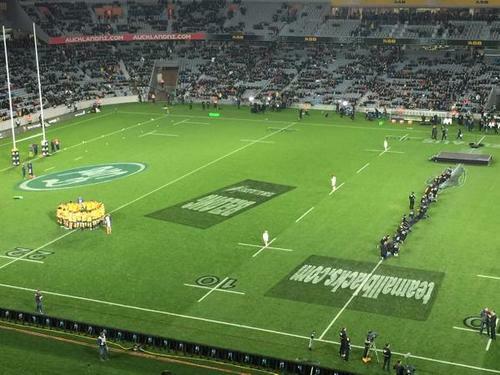 The All Blacks are $1.20 favourites to win tonight at the TAB while Aussie are $4.20 outsiders. And someone has just slapped down 10k on the All Blacks according to Mark Stafford. really really really hope that the AB's get rolled, will be good for them to be put into their place, Over rated cheaters. OK Del Boy, you need to stick to something like Chess! There we go good on ya Merv. Get stuck in. Sincere apologies KingCarl. There are comments flying everywhere. Stand by. Lets get this blog back on track. 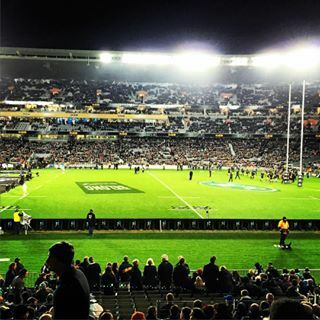 Here are the team line ups..
New Zealand: 15 Ben Smith, 14 Nehe Milner-Skudder, 13 Conrad Smith, 12 Ma'a Nonu, 11 Julian Savea, 10 Daniel Carter, 9 Aaron Smith, 1 Tony Woodcock, 2 Dane Coles, 3 Owen Franks, 4 Brodie Retallick, 5 Sam Whitelock, 6 Victor Vito, 7 Richie McCaw (c), 8 Kieran Read. Replacements: 16 Keven Mealamu, 17 Wyatt Crockett, 18 Nepo Laulala, 19 Jerome Kaino, 20 Sam Cane, 21 TJ Perenara, 22 Colin Slade, 23 Malakai Fekitoa. 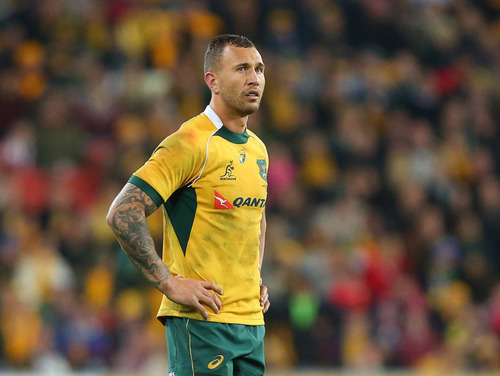 Australia: 15 Israel Folau, 14 Adam Ashley-Cooper, 13 Tevita Kuridrani, 12 Matt Toomua, 11 Henry Speight, 10 Quade Cooper, 9 Nic White, 1 Scott Sio, 2 Stephen Moore (c), 3 Sekope Kepu, 4 James Horwill, 5 Will Skelton, 6 Scott Fardy, 7 Michael Hooper, 8 Wycliff Palu. Replacements: 16 Tatafu Polota-Nau, 17 James Slipper, 18 Greg Holmes, 19 Dean Mumm, 20 Kane Douglas, 21 David Pocock, 22 Matt Giteau, 23 Kurtley Beale. DId you really Aussie82? I call your bluff. If you want to prove it to the great people of this blog, take a photo of the bet and sent it to steven.holloway@nzherald.co.nz and I will upload it. 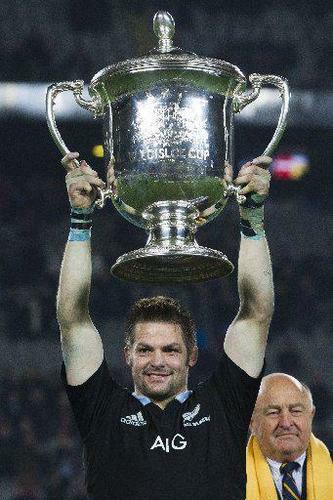 d day for some all blacks tonight.the old guard must perform or they will miss the plane to england. Hey Brian, welcome along. The game is still 15 mins away from kicking off, soooo I guess the score is 0-0. Thanks for reminding us Kiwi83. The Warriors are also kicking off at 7.30pm against the Panthers and we will keep you posted throughout. Expecting milner skudder to RIP IT UP tonight! boy is he a machine! Think Aussie82 is all kaka ain't no 5k on no wailingbabies! how long till kick off?? We're under 10 mins away. It's nearly anthem and Haka time. The anthems are underway and Aussie are up first.